Go beyond the traditional laptop with surface laptop. Backed by the best of Microsoft, including Windows and office. Enjoy a natural typing experience enhanced by our signature Alcantara fabric-covered keyboard. 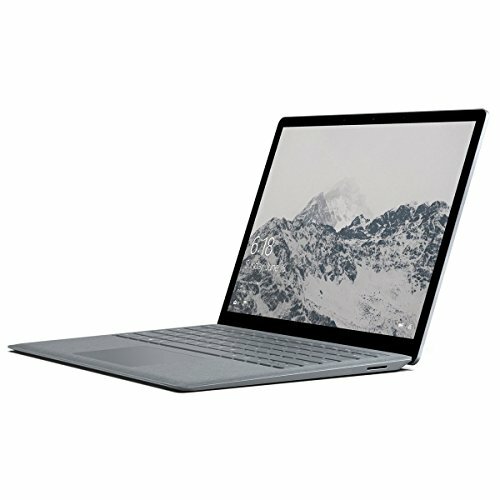 Thin, light, and powerful, it fits easily in your bag. .
Buy Microsoft Surface Laptop 1769 (KSR-00001) Intel Core i5, 8GB RAM, 128GB SSD, 13.5-in Touchscreen, Win10 S at Discounted Prices ✓ FREE DELIVERY possible on eligible purchases.